Documents the credit crunch recession of 2008 onwards through photographs of the shops that closed on one British high street. Part of a series of artists’ books on the theme of 26, conceived as a homage to American artist Ed Ruscha. 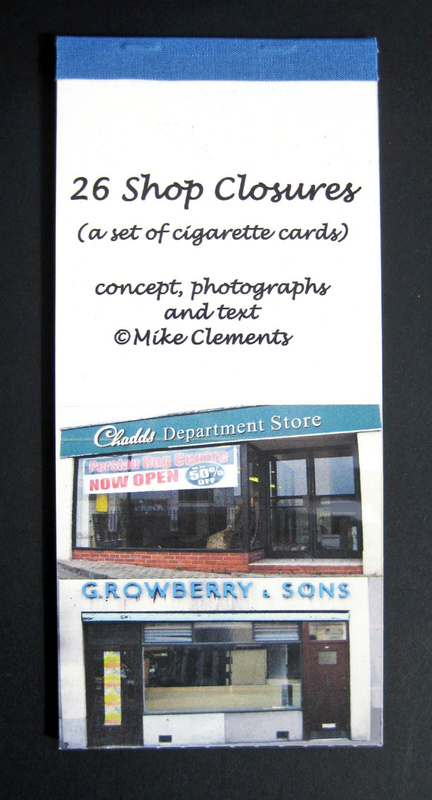 I developed the idea further by casting 26 photographs of defunct shops as contemporary cigarette cards and telling the story of a playground cigarette card game at my all boys primary school in the 1950s. Digital print on JPP Simili Japon 225gsm paper.